Increasing your consumption of alkaline foods can help protect your bones from degeneration and ward off the osteoporosis that tends to be associated with older age (especially in women). Plus, if you’re prone to kidney stones, an alkaline diet can help with that too! These five alkaline foods are not only extremely helpful in creating a more basic (alkaline) diet, they’re also extraordinarily healthy. Let’s take a closer look at how these five foods can improve your health. 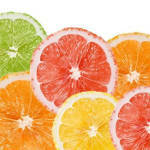 This sour citrus fruit is a vitamin C powerhouse. While we typically hear about vitamin C in the context of preventing or curing the common cold (which has still not been scientifically proven, by the way), this scurvy-avoiding vitamin is actually an incredibly powerful antioxidant. Vitamin C is also great for the skin, because it’s a precursor to collagen, the substance that keeps skin flexible, taut, and looking young and vibrant. Finally, vitamin C plays an important role in protein synthesis, making it extremely important for anyone trying to build muscle. This veggie family is one of the most important out there and it may be what you think of when you think “veggies.” Broccoli, cauliflower, cabbage, kale, Brussels sprouts, and bok choy all fall under this umbrella. Why are they so good for you? Cruciferous veggies such as these have been shown to have significant cancer-fighting power, with a review article showing that 70% of studies that looked at this family of vegetables indicate that they offer some risk reduction for multiple types of cancer. They’re also full of fiber to keep you full, antioxidants to protect your body from free radicals, and rich in the vitamins and nutrients your body needs to function properly. Good news for spice lovers: cayenne peppers are a hot item when it comes to your health. Capsaicin, the compound that makes cayenne peppers taste spicy, has been shown to be good for cardiovascular function, useful in pain relief, and even able to clear out your sinuses when you have a cold! Additionally, cayenne peppers are chock full of vitamin A, as well as antioxidant-forming carotinoids that can help to protect the body against free radicals, and therefore oxidation, inflammation, and maybe even cancer. Like cruciferous veggies, leafy greens have it all. Loads of fiber, tons of healthy phytochemicals, and countless vitamins and minerals can be found in these dark green veggies. And the best part? They’re super low calorie and their low density means that you can chow down without any guilt whatsoever. Greens like spinach, kale, collards, and swiss chard are also super versatile and most can be eaten cooked or raw, depending on your liking. Grown underground, root veggies are a staple of autumn cuisine and, thanks to their long-term storage potential, they remain tasty the rest of the year, too! Hearty and filling, root vegetables include the more well-known ones, like sweet potatoes and beets, as well as those like rutabaga and turnip, which you may have never eaten. Most root vegetables are low-calorie, high-fiber, and packed with antioxidants. The thing to watch out for is starch – because roots are where plants often store their energy, some types, like white potatoes, can be very high in carbohydrates. That said, however, root vegetables are a complex carbohydrate that make a great alternative to pastas and breads! Have any good recipes for these alkaline foods? Share them with us in the comments section!